One of the lighter moments of the Criminalistics Section Business Meeting in February was when, after voting to increase the contribution to the Tony Longhetti Scholarship Fund, it became apparent that no one in the room knew how the scholarship is administered. A mini research project has resulted in a bounty of information that is now available to pass along to you! Katherine Roberts of California State University at Los Angeles (Cal State LA) was kind enough to help fill in many of the gaps, as was Criminalistics Section Past Chair Jennifer Mihalovich. Our fellow criminalist, Tony Longhetti, passed away on June 11, 2001. At that time, he was working as an Associate Professor of Criminal Justice at Cal State LA, where he had been employed since 1989. Tony studied at UC Berkeley under Paul L. Kirk, where he received his Bachelor of Arts degree. Tony went on to earn his Master of Public Administration degree from California State University at San Bernardino. Tony’s first job in forensics was in the San Bernardino Sheriff’s Department where he established their crime laboratory. He continued to work for the San Bernardino Sheriff’s Department for the next 26 years, ultimately serving as the Deputy Chief of the Scientific Investigations Bureau from 1983 until he retired in 1989. Not one to actually retire, Tony began his teaching career at Cal State LA the same year. 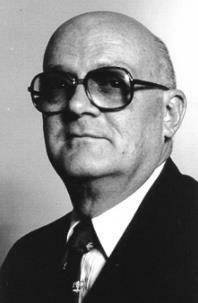 At the time of his death, he was the Director of the Master’s Degree Program in Criminalistics. Tony was active in professional organizations throughout his career. He served as President of the AAFS (1982-1983), was an inaugural member of the American Society of Crime Laboratory Directors/Laboratory Accreditation Board’s (ASCLD/LAB) Board of Directors, and was a past president and life member of the California Association of Criminalists (CAC). Tony was awarded the Paul L. Kirk Award in February of 1989 and the Criminalistics Section Outstanding Service Award (the precursor to the Mary E. Cowan Award) in 1998. In addition, Tony was awarded the CAC Distinguished Member Award in 1996. After Tony’s death, the Tony Longhetti Scholarship Fund was initiated to honor the memory of this much loved and respected Cal State LA professor. The scholarship is administered through the Cal State LA Foundation and is awarded to students with a GPA of 3.0 or higher who have expressed an interest in criminalistics research, dissemination of their research, and in being mentored one-on-one by the criminalistics faculty. The awardees are selected by current Cal State LA School of Criminal Justice and Criminalistics faculty. Scholarships are mostly awarded every other year and, since 2011, have ranged in amount from $116 to $1,000. Thirteen individual Tony Longhetti Scholarships have been awarded since 2011, with funds typically being used to fund attendance at the CAC Semi-Annual Seminar. Awardees may also present their thesis research at a poster session held during this seminar. As of this writing, the 2016 awards were still pending. It seems clear that the Criminalistics Section’s longstanding annual contributions to the Tony Longhetti Scholarship Fund have served to further the goals of promoting forensic science research and the dissemination of those results. As a forensic science leader, innovator, promoter of education, and lover of the CAC, Tony would have approved!